Chelsea make it three straight league wins with a narrow victory over Liverpool, Man City do likewise at Everton in a game marred by injury to Pauline Bremer. Over 2,000 were at the Kingsmeadow Stadium for the lunchtime kick-off, as Chelsea chalked up another three points without conceding a goal. The only goal came on 14 minutes, as Gemma Davison’s cross was taken down by Maren Mjelde on the edge of the box and smashed into the far corner of the Liverpool net. It might soon have been 2-0 when Crystal Dunn played Karen Carney through but Gemma Bonner made the crucial block. Erin Cuthbert forced a fine save from Reds goalkeeper Siobhan Chamberlain and the visitors went close to a leveller just before the break, as Alex Greenwood’s free-kick almost crept in at the far post. After the interval, Chamberlain pushed a Carney shot round the post, while Jess Clarke was through on the home goal but her touch let her down. Chelsea’s Fran Kirby had an effort disallowed for offside and Eniola Aluko was denied by a fine stop from Chamberlain in the last minute. Claudia Walker gave Everton a fantastic start against Manchester City, firing home from 25 yards after only 5 minutes. 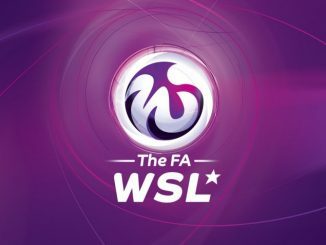 Any hope of a surprise win were soon diffused, as Lizzie Durack was unable to keep out a Steph Houghton free-kick in the 12th minute and seconds later, Nikita Parris buried a powerful header. 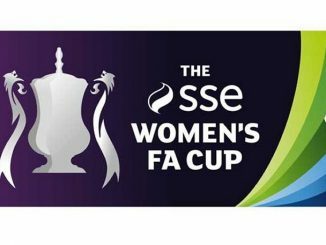 It was 3-1 after 18 minutes when Pauline Bremer beat Durack to the through ball, but City then had the German international stretchered off following lengthy treatment, after a solid tackle from Gabby George. The hosts were back in it on 66 minutes as Simone Magill stabbed home from close range following a free-kick but were unable to go on and get something from the game.